At the long-term care facility where Robert Rebein’s father lands after a horrific car crash, a shadow box hangs next to each room, its contents suggesting something of the occupant’s life. 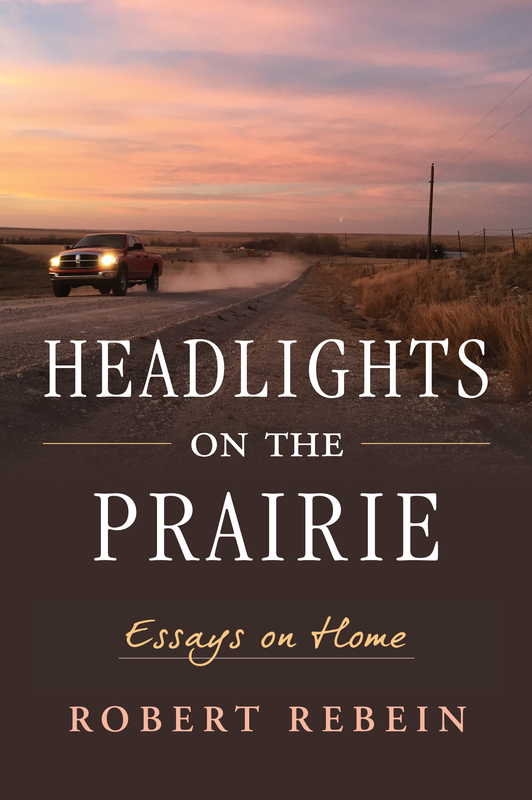 In Headlights on the Prairie, Rebein has created a literary shadow box of sorts, a book in which moments of singular grace and grit encapsulate a life and a world. In the tradition of memoirs such as Tobias Wolff’s This Boy’s Life and Ivan Doig’s This House of Sky, these essays bring a storyteller’s gifts to life’s dramas, large and small. Following his award-winning turn on his hometown of Dodge City, Rebein takes us back to the high plains world where his family has farmed and ranched since the 1920s. It is a world populated by feedlot cowboys, stock-car drivers, and farm kids dreaming of basketball glory. Here too we find the darker tales of damaged young men returning from war, long-haul truckers addicted to crystal meth, and the sadly heroic residents of a small-town nursing home grandiloquently named Manor of the Plains. Whether contemplating a fiery crash at a race track, coming to terms with an aging parent, or navigating the last days of a beloved family dog, Rebein offers a subtle, unsparing, often moving look at the moments that go into making a writer and a man. Seen in sharp detail, and recalled from a distance, his is a story of how a man can leave his home on the prairie—and yet never really get out of Dodge. Robert Rebein is professor of English and chair of the Department of English at Indiana University Purdue University in Indianapolis. His books include Dragging Wyatt Earp: A Personal History of Dodge City and Hicks, Tribes, and Dirty Realists: American Fiction after Postmodernism.